Inappropriate activation of the Wnt signaling pathway is observed in many human cancers and is sufficient to drive tumor initiation and progression in numerous contexts. Multiple mechanisms, such as overexpression of Wnt ligands, inactivation of the APC and Axin tumor suppressors, and mutation of -catenin, are responsible for pathway activation in tumor cells. The development of potent Wnt pathway antagonists for therapeutic use has been a major effort for investigators in both academia and industry in recent years. 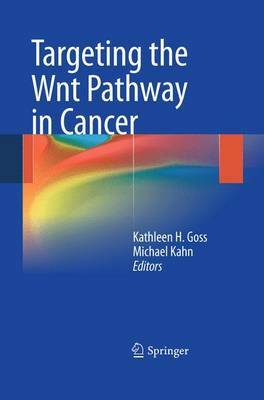 This book will provide an overview of the Wnt pathway as a therapeutic target for cancer, and discuss the preclinical development of inhibitors specifically directed to upstream and downstream components of the pathway.